The need for care and preservation of the planet is increasingly important, a change in the way we think to get the most out of the resources we have would be a good legacy for future generations. This implies proper management for a safe final disposal as well as the possible use and exploitation of materials that are considered environmental liabilities but that due to their physicochemical characteristics have a high potential to be used in new applications. This point that I will develop and in this opportunity I am going to tell you about a material mistakenly called "residue" known as red mud. If it is not a residue, what is the red mud? The red mud is a by-product that is generated from the production process of alumina, under the BAYER scheme. It is considered an environmental liability mainly due to its high alkalinity (pH> 12), which can affect local ecosystems, especially when it is poorly managed or in cases of accidents. It is a problem present in 4 continents of our planet and due to the quantities produced its management becomes expensive (it is estimated a world production of 120 million ton/year of red mud) and therefore it is deposited in areas called lagoons. 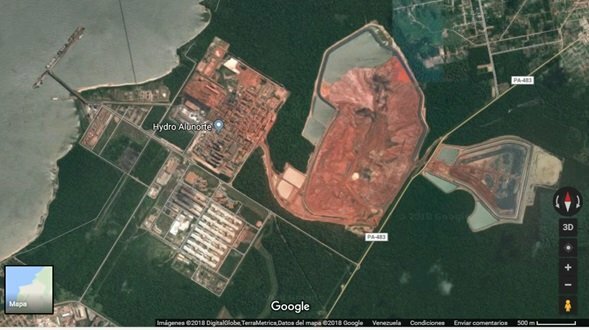 Images of the red mud lagoons of the largest alumina refinery in the world, Pará-Brazil. Is the solution to store the red mud in lagoons? The red mud lagoons are large areas (may exceed 4 km2) where this material is deposited, they do not represent an integral solution to the problem, sometimes their containment dikes have failed producing spills. The most recent case occurred in 2010 in Hungary (Ajka), where 1 million m3 of mud was spilled, affecting populations and fluvial ecosystems. The environmental impact of the accident is still being studied. Potential applications for red mud. Due to the risk it represents, it has been sought to develop applications for this material, focusing it as an exploitable and usable resource. In this context, research on red mud during the last years has increased exponentially, with more than 400 publications related to the red mud that includes scientific articles, patents, conferences, etc. The country with the most scientific activity on the subject is China, which is also the largest producer of alumina. The main difficulty that has arisen in developing industries based on applications of red mud, is the high cost involved in its neutralization and transport, which is necessary to bring it to a pH value considered safe between 8.5-8.9. Seawater is commonly used for neutralization, but most bauxite plants are far from the ocean, which means that projects are not economically viable. Adsorbent material of aqueous pollutants: In this application, studies have been carried out in the treatment of water to remove toxic heavy metals, inorganic anions, metalloid ions, as well as organic dyes, phenolic compounds and bacteria. Catalysis: catalysts are commonly expensive and their use represents a significant percentage of the total cost of any process. 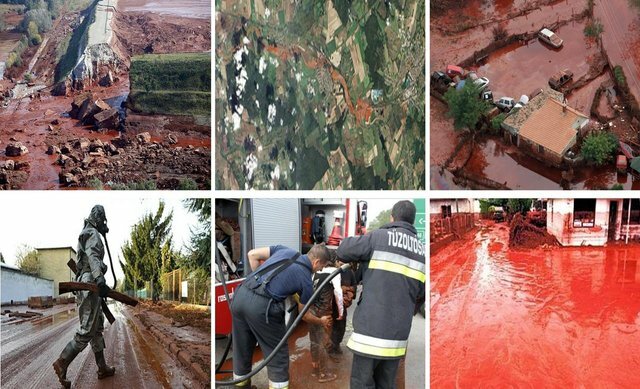 In this regard the red mud can be exploited for its high content of metal oxides and its surface area in reactions of different types for example: the oxidation of carbon monoxide and the degradation of methylene blue. Building materials: where it can be combined with other materials such as cement. Has been studied in the creation of self-compacting concrete replacing higher cost materials, in the same way can be used in the manufacture of bricks combined with other clays. Ceramic production: ceramics are materials that have a low density, low thermal conductivity, high surface area and good resistance to thermal shock that make it ideal in applications related to the automotive, construction, aerospace and other industries. The synthesis of ceramic materials based on red mud has been explored leading to a reduction in production costs. In conclusion we can say that red mud is equivalent to any other mineral currently exploited, and as we change our approach, seeing it less as a waste and more as a resource, its applications will continue to develop in laboratories around the world. In this way the red mud lagoons represent deposits of this new resource waiting to be used. Liu Y., Naidu R. y Ming H. 2011.“Red mud as an amendment for pollutants in solid and liquid phases”. Geoderma, 163:1-12. Hülya-Genç H., Tjell J. y McConchie D. 2004. “Increasing the arsenate adsorption capacity of neutralized red mud (Bauxsol)”J. Colloid Interface Sci., 271: 313–320. Zhang S., Liu C., Luan Z., Peng X., Ren X. y Wang J. 2008. “Arsenate removal from aqueous solutions using modiﬁed red mud”.J. Hazard. Mater., 152: 486-492. Harekrushna Sutar, Subash Mishra, Santosh Sahoo, Ananta Chakraverty y Himanshu Maharana. 2014. “Progress of Red Mud Utilization: An Overview”. Amen. Chem. Sci. J., 4(3): 255-279.